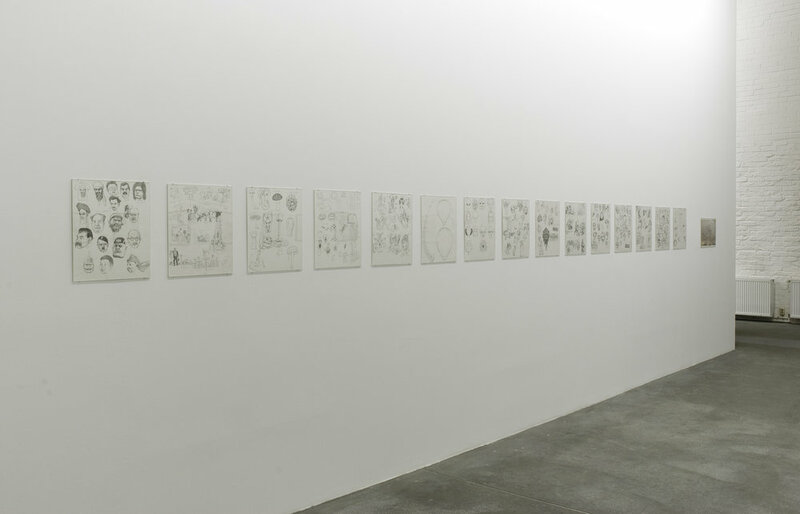 Praz-Delavallade is pleased to announce the inaugural opening of their new space in Berlin with the exhibition of the Los Angeles-based artist Jim Shaw. “2012, Montezuma's Revenge” is a backdrop painting from the 1930s, showing a slum on San Antonio’s outskirts. 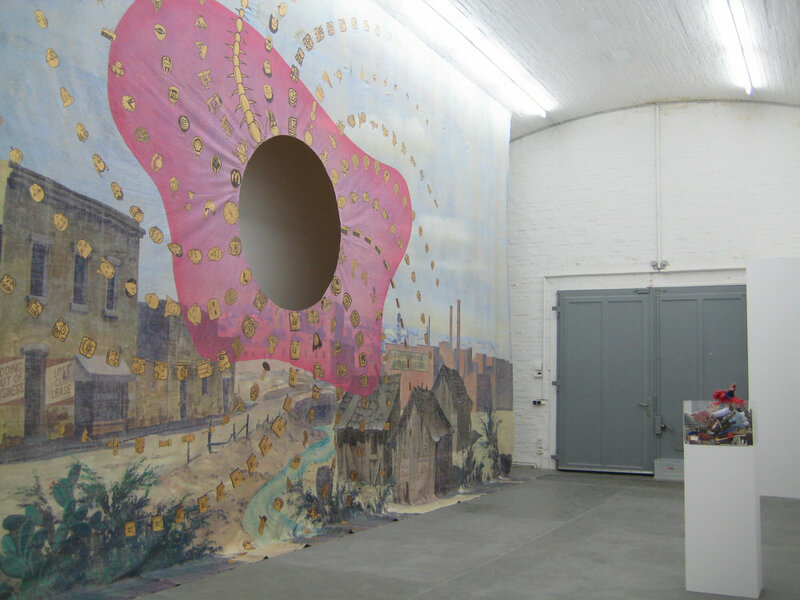 On this background, Jim Shaw painted a psychedelic vision of the end of the world. 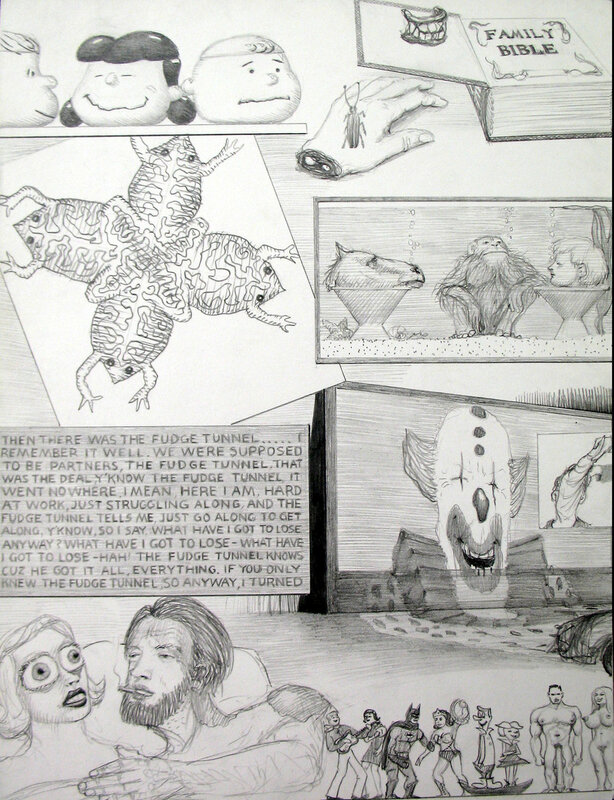 Jim Shaw mixes events from his life, elements from one of his assistant's dreams (of a landscape with a stylized amoeba and studio assistants in hot air balloons) and any other kinds of experiences which are set on the border of reality, consciousness and our world as we know it. On this immense canvas of 11 m length, Jim Shaw superposes the vision of a miserable America and his own obsessions in which the divinities of the Mayas, the presidents of the US, nuns and extraterrestrial beings, emerging from 1950s comics, merge. If the other backdrops from the series called "Left Behind", are musings on the Christian Apocalyptic world view and its attendant fantasies, this constitutes a vision of a totally new age apocalypse! 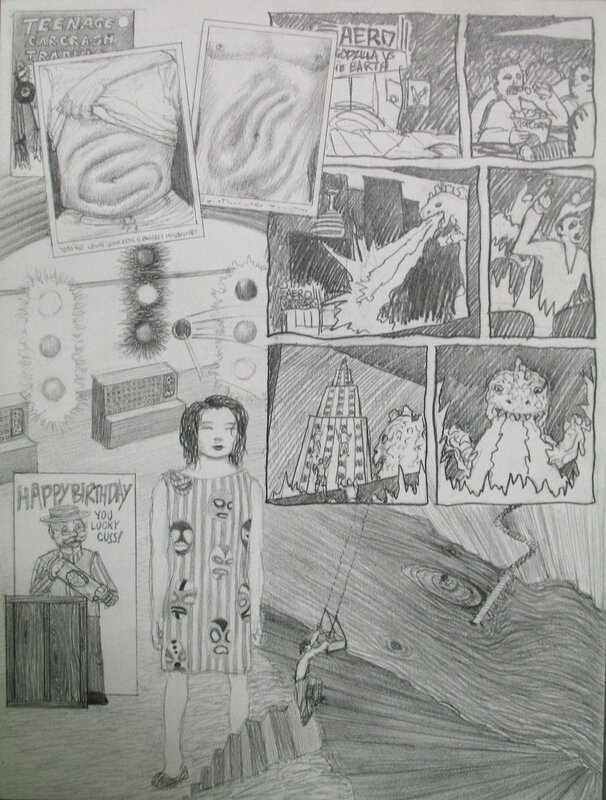 Another part of Jim Shaw’s work, probably the most famous and constant one, is the way he uses his dreams as in the well-known series of "Dream Drawings" and "Dream Objects". 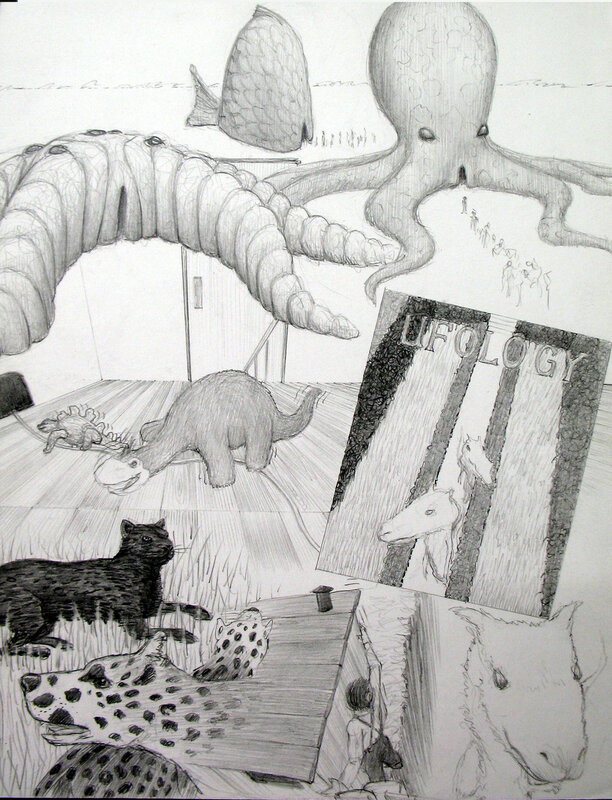 The artist began to inventory his dreams for several years; then, in 1992, he started a series of pencil drawings based on these dreams (approximately 500 drawings have been made until now). 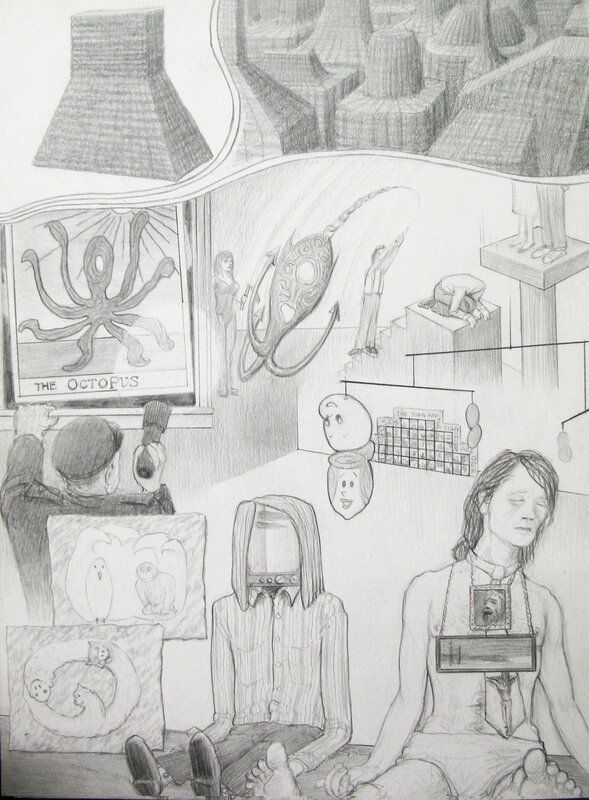 Shaw's dream drawings are accounts of actual nocturnal visions and serve as one of his primary visual sources and inspiration. Whereas for the surrealists such dream work was an end in itself, for Shaw it serves as a fantastic reservoir of images that allow him to make what is at times a totally unique art. 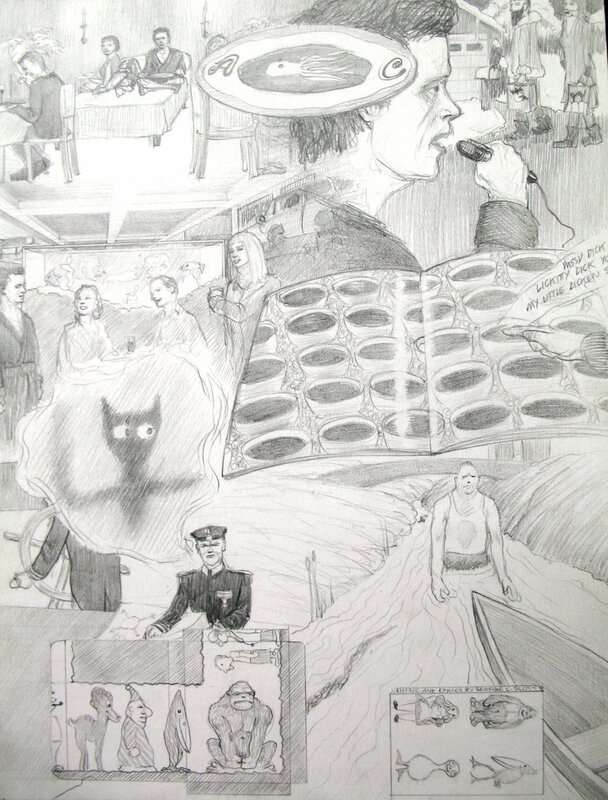 The diary works for Shaw as a source book from which he selects single motives to reproduce as dream objects that are materialized as oil paintings, photos, drawings and sculptures in a significant range of different techniques and dimensions. 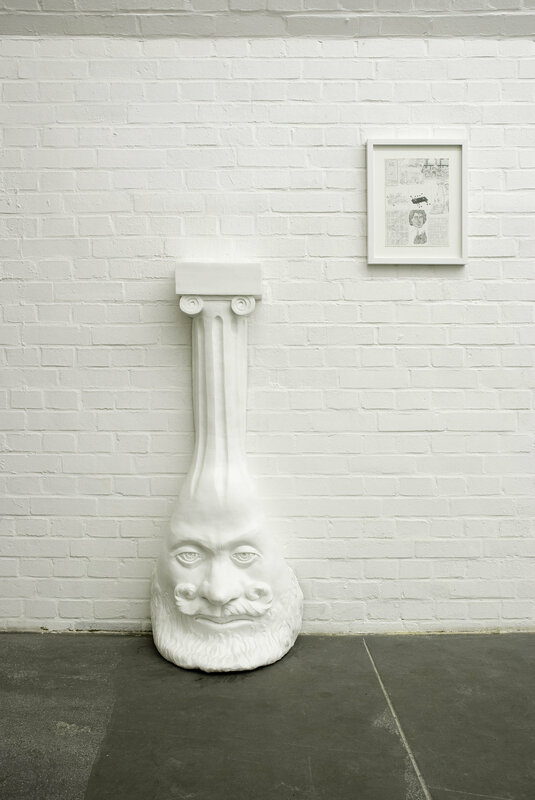 The sculpture shown in the exhibition at Praz-Delavallade’s new space in Berlin is a kind of showcase-trap that contains and collects miniature versions of all the dream objects Jim Shaw has made until today. This sculpture is itself a dream object, perhaps one of the last. As it seemed a shame to keep such beautifully made objects forever unseen, Jim Shaw thought he would let his assistant curate her dream show of miniature dream objects in a fictional museum and document it in a small catalog.